Theres a new addition to the Nitro Family. We now have the Nitro Mini. This is perfect for users 5'2" and under. 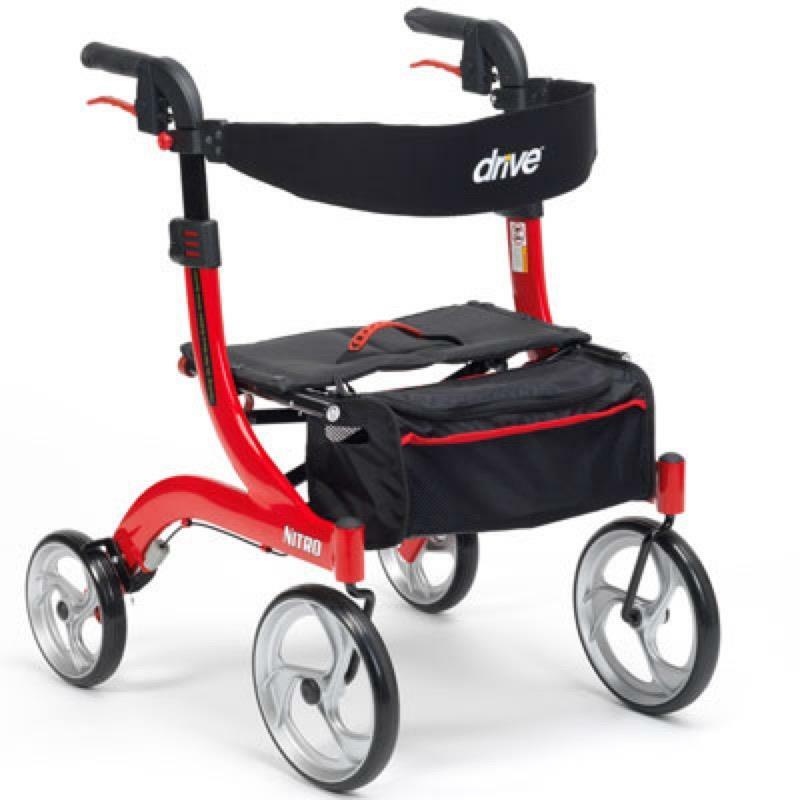 The Nitro has a lightweight aluminium frame, removable zipped storage bag and has a soft flexible backrest. Maximum user weight of 21 stone. The Nitro Mini can be used indoors and outdoors and features large 10" front castors. The handle height can easily be adjusted using the unique push button and it can be folded for ultra compact storage when needed. It also features ergonomic loop brakes and the brake cable is inside the frame for added safety. The frame boasts a cross brace design for added stability and the back support height adjusts with a tool-free thumb screw. The Nitro Mini is ideal for users 5'2" and below. Frame is Red in colour.